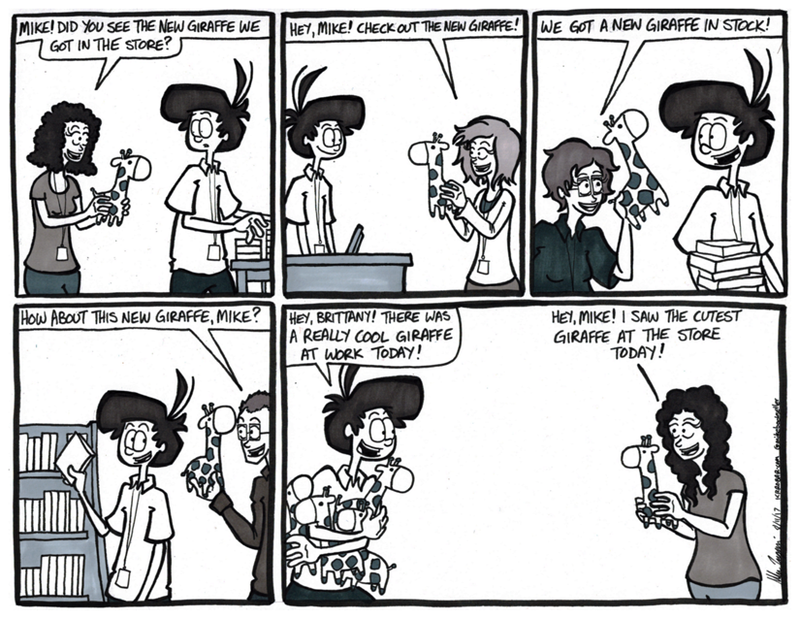 Help support Mike in buying more giraffes! Patreon is a cool website that you can say Thank You to your favorite creators on the internet while helping creators like me fund and build their creations! The coolest part is that you get extra stuff for doing that! I had a lot of people tell me about the new giraffe plush toy that came in to work, and my wife Brittany was the first to let me know about it by bringing one home for me!! My wife is the best! Brittany is awesome. She’s supported me through this first year of marriage like a BOSS. Going to college AND working full time. I am one lucky guy to be married to her. Her little gifts she gives me, the cute way she pouts while playing video games, her obsession with jigsaw puzzles, how she sings songs to herself while doing mundane chores… It’s not just all of that. She inspires me to be a better person for her. A lot of the drive I have for growing my audience is to help her. Support her. I love her so much.